The long awaited link of the new web-based personnel tracking system for The Police Retirement System of St. Louis is scheduled was activated on 9/4/12. When accessing the website at http://www.stlouisprs.org/ you will be asked to enroll in the new system. You will choose your own username and password, just as you do for any website. Once chosen, along with your challenge questions, you will have total access to the benefit calculator, your DROP account and your Member Account (Lump Sum). The office staff will no longer be able to issue new access codes nor retrieve old/forgotten codes, as that will be done with the webmaster. The exclusive labor lawyer for the St. Louis Police Leadership Organization is Rick Barry of the Law Offices of Rick Barry, P.C. You can visit their website at www.rickbarrypc.com. Also, the link is under the "Legal Assistance" tab and our links area on the homepage. Rick is working hard to gain additional benefits for Sergeants and above. The St. Louis Police Leadership Organization is for Sergeants and above. To learn more about the SLPLO, click on this link. If you would like to have access to legal representation, the chance to have your voice heard on issues concerning first line supervisors and commanders and would like to be part of an organization that has your best interests at hand, then the SLPLO is for you. The SLPLO Sergeants' CBA Negotiating Team has reached an agreement with the city of Saint Louis. A vote by the Sergeants has been temporarily postponed until further notice. The next SLPLO General Membership Meeting will take place on Wednesday, June 19, 2019. All active and retired members are invited. Food and drinks will be served. An invitation will be sent with further details as the date approaches. Retired Sgt. Ralph E. Harper, was killed on Monday, October 29, 2018, during a robbery in St. Louis. Ralph is a member of a prominent police family, two of whom are current members of the SLPLO in good standing. Please keep the entire Harper family in your prayers as they deal with this sudden and tragic loss. Rest in peace and Godspeed Sgt. Harper. You were a true hero to the end. #ThinBlueLine. The St. Louis Police Leadership Organization took the battle for Sergeants' Overtime to federal court and won allowing for all Police Sergeants to earn overtime under federal guidelines. The SLPLO is presently appealing the way that overtime is calculated for Sergeants and hopes to have an udpate soon. 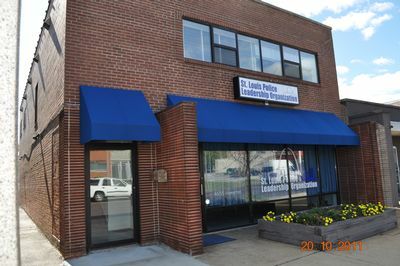 On February 15, 2012, the St. Louis Police Leadership Organization (SLPLO) solicited the Law Offices of Rick Barry, P.C., one of the most recognized Labor Attorneys in the area. Rick Barry sent a letter to the St. Louis Board of Police Commissioners requesting the SLPLO be recognized as the potential bargaining agent for Commissioned Police Officers holding the ranks of Sergeant, Lieutenant, Captain, Major and Lt. Colonel. I would like to thank all members who voted in the Pension Election and gave me their support. Now is the time when we need to stick together and fight for our rights and benefits. If you would like to join the St. Louis Police Leadership organization, please fill out an application and send page one to Joyce in Budget/Finance and page two (beneficiary info) to Sgt. John Vogt, District 4. SAVE THE DATE! The next SLPLO General Membership Meeting will be held on Wednesday, June 19, 2019 at 5:30pm. The location will be announced at a later time through email. All members are encouraged to attend. Law Offices of Rick Barry, P.C.